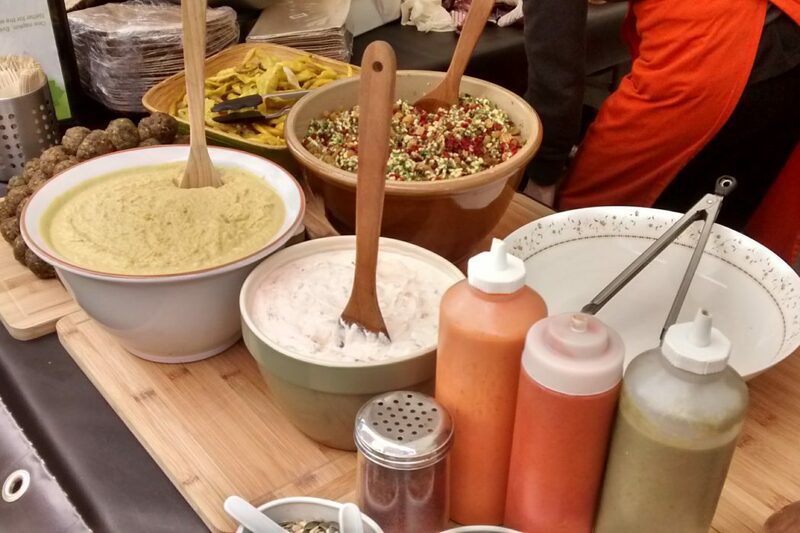 Our next fabulous foodie market at the University of Manchester will be held on Tuesday 23rd May, 11.30am to 2.30pm, on Bridgeford Street M15 6FH. You can find us just off Oxford Road, next to the Manchester Museum. We’re heading towards the end of term, but there’s still PLENTY of delicious food to be scoffed before then! Make the most of us and treat yourself to a properly splendid lunch, with 17 stalls packed full of Manchester’s best street food, the best brownies and cheesecakes in the biz and Fairtrade coffee. Sample Bavarian snacks, indulge in a taste of Italy and try your very first Bao bun (massively recommended). It’s a culinary tour of the world, right next to your work or study spot. GET THERE and get stuck in.